I made a quick jaunt to Turkey Creek this morning, and it was fairly quiet, except for near the trail/boardwalk entrance and exit. On my way in the pines near the picnic area were full of a mixed flock of Northern Parulas and Pine Warblers. At the end of my walk just before the end of the Sand Pine Trail by the nature center was a mixed flock of Pine Warblers and several Blue-headed Vireos. 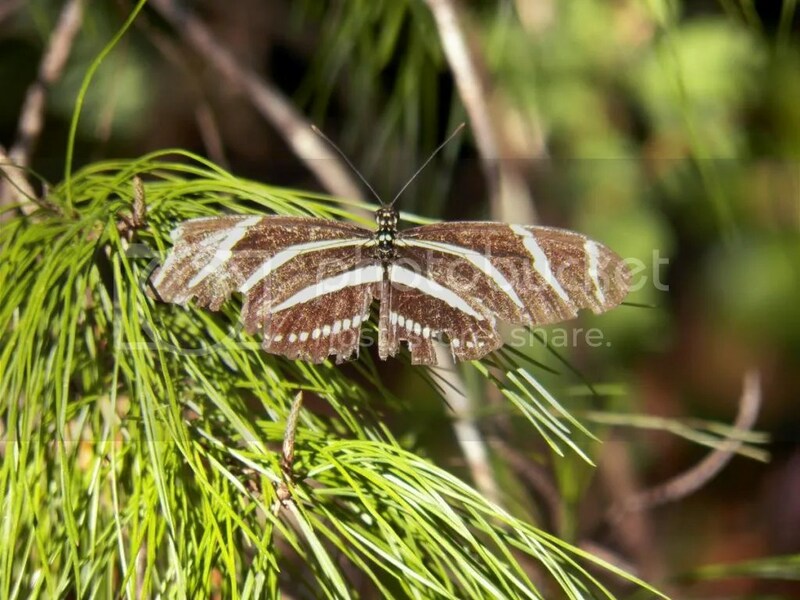 Otherwise, there were REALLY worn Zebra Longtail Butterflies throughout the park. And there was this mystery whistle. Any help with identifying this sound would be welcome. How about it? Otherwise, here’s the list of birds seen today. It’s been chilly (for Florida) the past several days, but the sun’s been warm, and by mid-morning I’ll take mid 60s Fahrenheit over freezing any day. Posted on 2014 December 15 by Lonely BirderPosted in BirdingTagged mystery whistle, Turkey Creek Sanctuary. Previous Previous post: Roseate Spoonbill at Ritch Grissom Memorial Wetlands in Viera, FL.